Coming back from a sojourn to Mothercare this afternoon, I found that the northbound carriageway of the new John Smeaton (this one, not that one) viaduct had opened up. I was surprised by this as I had thought the works would be completed in December, but the council website seems to suggest that the opening is in fact a little late. Nevertheless, I indicated right and drove onto the new bridge. Gliding on a freshly laid tarmac surface scores of feet above a small industrial section of the Aire Valley was nice, although it was strange to be suddenly be confronted with a new vista of a familiar scene. The short section of road was light on traffic and saved me approximately 30 seconds. i though i would resurrect a topic which started, and quickly fizzled out, at the back-end of 2005; the ever-popular investigation into 'the people behind the street names. 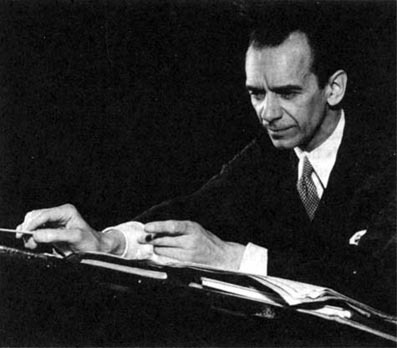 today, it's the turn of malcolm sargent. sir harold malcolm watts sargent lived between 29th april 1895 and 3rd october 1967. he is remembered for being a conductor, a composer, and an organist. he broadcast for bbc radio, and from 1948 until his death, we was the chief conductor of the proms. as you can see from the picture above, he was a keen collector of pairs of hands. malcom sargent close is in newport, south wales. john harrison was a carpenter from foulby, west yorkshire. 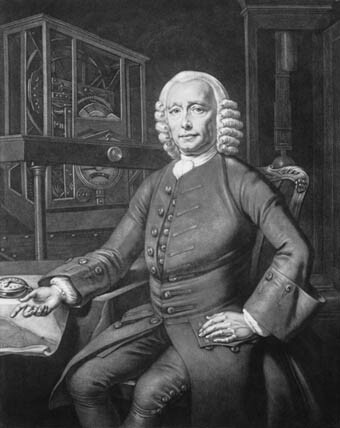 he was born on 24th march 1693, and died on his birthday, 1776.
the main thing that john harrison did during his life was to invent the world's first successful maritime clock, which was accurate enough to allow the successful determination of longitude over long distances. he is a contemporary of edmund halley, and has the intervention of king george the third to thank for obtaining the £20,000 prize promised by the board of longitude to the first man to devise a solution to the problem of measuring a ship's longitude at sea. today, his timepieces can be seen in the national maritime museum at greenwich. i must assume that this street was named after the above john harrison, and not the nottingham peugeot dealership of the same name. another one! lloyd maunder road is in cullompton in devon, but who is/was he? i guessed maybe a star of silent movies, but this lloyd maunder made his name slightly before cinema took off. in 1898, lloyd took over his father's butchers shop, and, er, that's it. the business continues to operate today, boasting of 'honest, inspirational west country food', and making much of it's status as a family business. i suppose 'eight parallel production lines in our main poultry packing hall provide a capacity of 100,000 birds daily. each can be switched rapidly to different products, packs and weights before being distributed automatically by a new sorting conveyor to the waiting transport trays' is less catchy. further in my sporadic series on the people behind the names of streets i chance upon at work. michael tippet was born in london in 1905, and grew up in suffolk. he developed an interest in music at stamford grammar school, and enrolled at the royal college of music in 1923. after completing five years there, he moved to oxted to teach french in a prep school, and conducted a concert and operatic society. but after the debut of his first piece in 1930, he went back to studying music, and by all accounts got rather good at composing. his work was coloured by the events of the day (recession, world wars). in fact he was sent to wormwood scrubs in 1943 for three months because he was a conscientious objector. 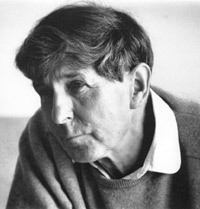 awards include a cbe in 1959, a knighthood in 1966, and an order of merit in 1983. he continued to compose and perform until late in his life (his last major work was premiered on his ninetieth birthday), and remained a committed pacifist, as well as a humanist. he died in in london in 1998.
the road i spotted is in worcester, although i can find no link between him and it. i come across addresses at work featuring streets, roads, avenues and lanes named after people. i often wonder who these people are, or were. so, in this first post in what will be an occasional series, i have done a little light research into cardinal hinsley. well, i have been unable to find a picture of arthur hinsley, and there doesn't seem to be too much information about him either. he was born in selby, west yorkshire, in august 1865, and by the time he was 28, he had become a priest in the archdiosese of westminster. he was made a bishop in 1926, and at the age of 69 he became an archbishop. he was elevated to cardinal status on 13th december 1937, and obtained his final promotion in march 1943, when he died. hinsley also gave his name to a school in north-west london.